This is a 38 year old female who had a CT performed for nonrelated reasons, but had incidentally detected liver masses. An MRI was ordered for further workup. 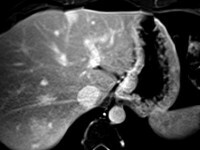 Two liver lesions – hemangioma and focal nodular hyperplasia. 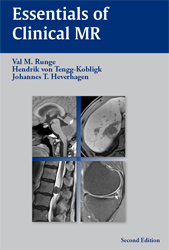 3.0 T scanner (Siemens Verio) using a body matrix coil anteriorly and a spinal coil posteriorly; 0.1 mmol/kg of gadolinium chelate was administered. Image 1: axial T1-weighted image (TR/TE 3.9/1.3 ms, scan time 11 sec, slice thickness 4 mm) performed 31 seconds after contrast administration; Image 2: axial T1-weighted image (TR/TE 4.0/1.5 ms, scan time 19 sec, slice thickness 4 mm) performed 8 min after contrast administration; Image 3: T1-weighted image (TR/TE 4.0/1.5 ms, scan time 19 sec, slice thickness 4 mm) performed 1.5 hours after contrast administration; Image 4: T2-weighted image (TR/TE 4000/124 ms, scan time 1 min 12 sec performed as 3 breath holds performed at 24 seconds each, slice thickness 5 mm). 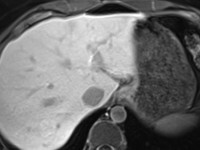 Two lesions are identified in the liver. 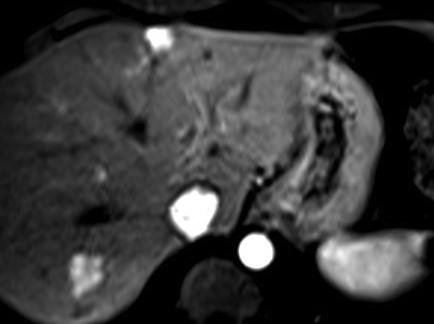 That in the left lobe has high T2 signal (image 4), illustrates early enhancement (image 1), and corresponds to signal intensity of the hepatic blood pool/aorta (images 1-3) on all phases. This lesion is consistent with a hemangioma. 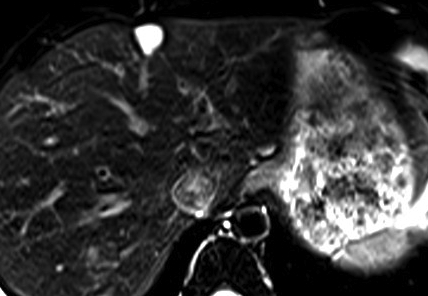 The second lesion is seen in the right lobe of the liver. It also illustrates early arterial enhancement (image 1) and is less intense than the hemangioma on the image taken 8 minutes after contrast (image 2). On the 1.5 hour delayed image, it is isointense to the remainder of the liver (image 3). On the T2 image, there is faint, low signal septa noted (image 4). 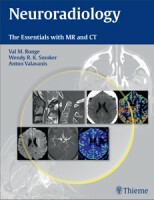 On diffusion-weighted imaging (not shown), the lesion does not illustrate restricted diffusion.